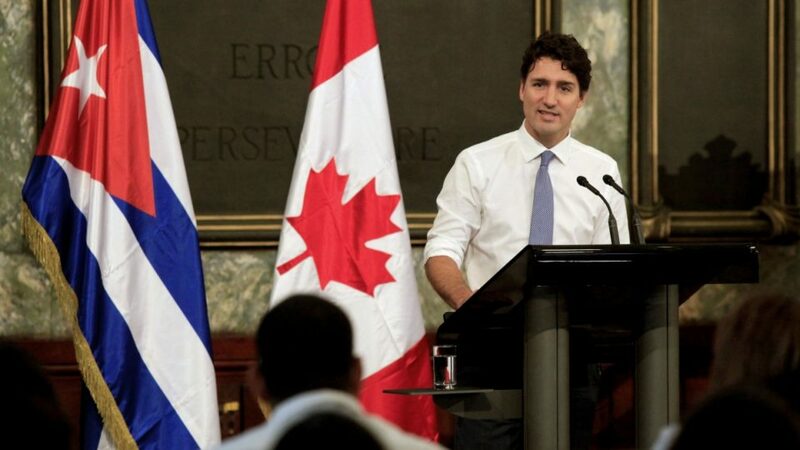 When Fidel Castro passed away, the Prime Minister of Canada, Justin Trudeau, praised Castro for the many benefits he brought to his people and Cuba. Needless to say, anyone knowing Fidel Castro would not be praising a man who stifled democracy and lived according to the “mantra” of communism. In his “stifling” he ensured that no one would be given an opportunity to contradict his political beliefs. Should death be invoked, it was for the benefit of the country and communism. What truly enraged Canadians was Trudeau’s all inclusive phrase…” “On behalf of all Canadians, Sophie and I offer our deepest condolences to the family, friends and many, many supporters of Mr. Castro. We join the people of Cuba today in mourning the loss of this remarkable leader.” No sooner said, I started reading comments about Justin Trudeau in a very negative light, such as…”weak, incompetent, little left wing socialist!” It was blistering! Elected officials often take it for granted that they represent all their constituents once elected. True, they are held accountable to all their constituents and should respond to them accordingly. However, they do not represent all political stripes within their constituency. For the sake of all politicians, especially the Prime Minister, we remind you that the so-called “popular vote” is traditionally below 50%…no majority of Canadians. It is, therefore, not possible to say that a given leader or party represents “all” Canadians. Liberals and “left-wingers” tend to espouse the concept of being all inclusive. “You may not have voted for us, however, we welcome you and now represent you.” What is so ironic with the Trudeau’s when it comes to “all encompassing” is their selective view on the matter. Ah, let us not forget the famous words of Pierre Elliott Trudeau…Fuddle Duddle, stated in the House of Commons. We now know that both old and young Trudeau are familiar with the “F” word! And, do we not remember Pierre Trudeau’s “one-finger” salute. “It was August. 8, 1982, the day Pierre Trudeau gave the finger to each of three protesters awaiting him on the train platform in Salmon Arm, B.C. The so-called “Salmon Arm Salute” or “Trudeau Salute” soon became a vivid symbol for those who thought the Liberal prime minister arrogant and hostile to Western Canada.” All inclusive…I think not! So what happened to being all inclusive and representing the thoughts and will of all Canadians?